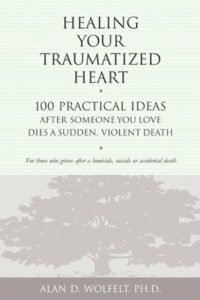 When a loved one is killed in the line of duty, this book affirms, survivors’ guilt is shaped by the unique circumstances of the death. 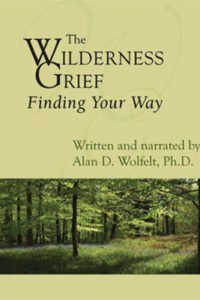 Because military deaths are almost always sudden and violent, the traumatic nature of the loss creates a two-part grief–one focused on the manner in which the person died, the other focusedon the long-term repercussions of life without this special person. 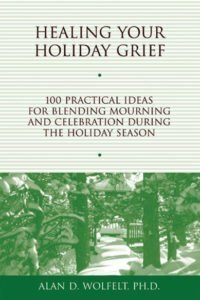 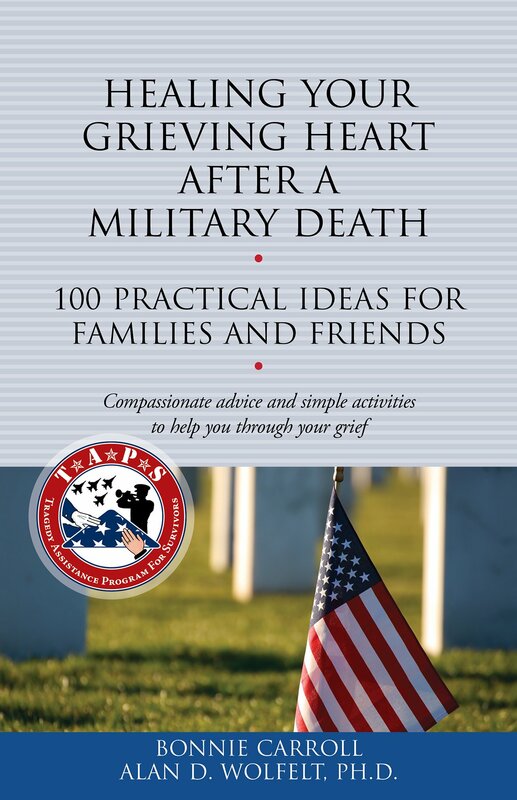 This guide also acknowledges the mixture of sadness, pride, anger, and blame that often characterizes grief after a military death and offers ideas for constructively expressing thoughts and feelings. 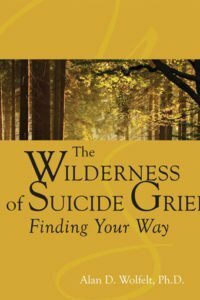 Military suicide is also addressed. Anyone whose life has been touched by a military death will find compassionate understanding and healing guidance in these pages. 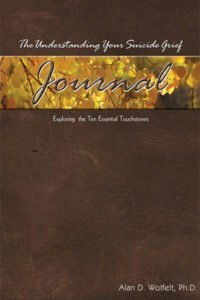 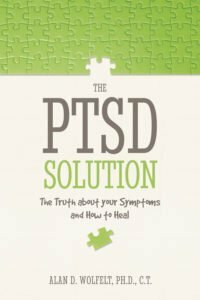 Written by Dr. Wolfelt and Bonnie Carroll, founder of the Tragedy Assistance Program for Survivors, or TAPS.